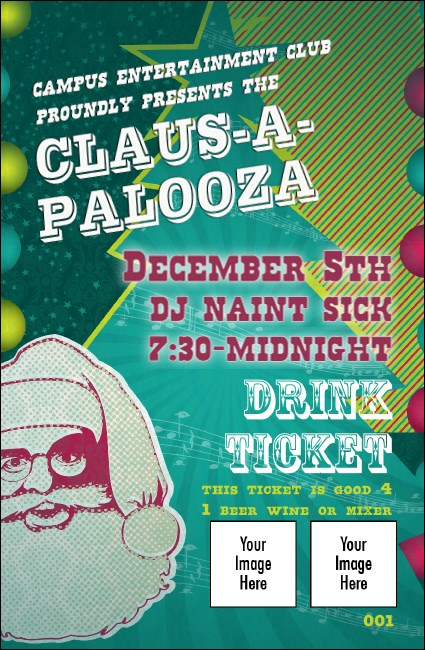 Get your guests ready to get down with Santa this season when you give them Claus-A-Palooza Drink Tickets for your holiday party. Keep the crowd rocking around the Christmas tree with these colorful Drink Tickets, which feature Santa’s face outlined in pink along with unique blue and green background designs. Get your holiday party off to a rockin’ start with TicketPrinting.com!